The Committee of Religious NGOs at the United Nations is a coalition of representatives of religious, spiritual and ethical non-governmental organizations who exchange varying points of view and are dedicated to the pursuit of peace, understanding and mutual respect. The Committee of Religious NGOs at the United Nations is composed of the representatives of national and international organizations which define their work as religious, spiritual or ethical in nature and are accredited to the UN. The Committee of Religious NGOs meets regularly to share information and insights about the complex issues and events at the UN. The Committee’s focus is two fold. It serves as a forum to inform and educate our constituencies about the global challenges of our time, and the constructive role that the UN can play in addressing those issues. It also serves as a forum for exchanging and promoting shared religious and ethical values in the deliberations of the world organization. 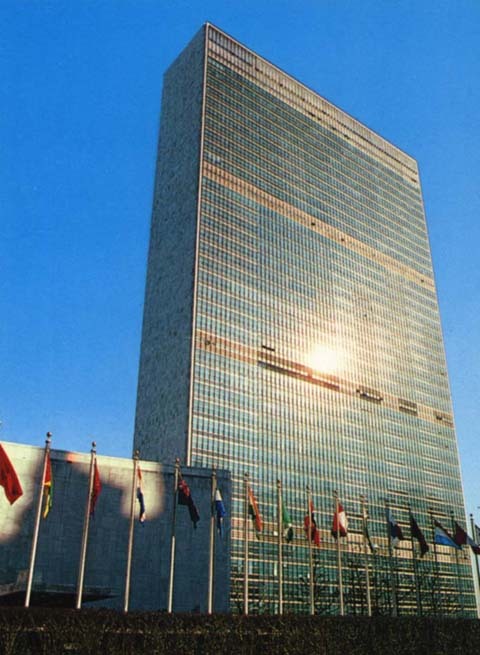 History Religious organizations have been engaged in active collaboration with the UN since its founding in 1945. The Committee of Religious NGOs has been meeting regularly since 1972. Membership Participation in the Committee of Religious NGOs at the UN is open to the representatives of any organization which defines its work as religious, spiritual, or ethical in nature, and which is accredited to the United Nations. A yearly membership fee helps defray costs. Activities The Committee of Religious NGOs meets monthly between September and June at the Church Center for the United Nations, 777 United Nations Plaza, New York, NY 10017. Regular meetings promote networking among religious NGOs and offer panel discussions highlighting the religious dimension of United Nations agenda items. The Committee hosts multi-religious prayer services related to various UN events and campaigns on an occasional basis. By-Laws of the Committee can be found by clicking here.